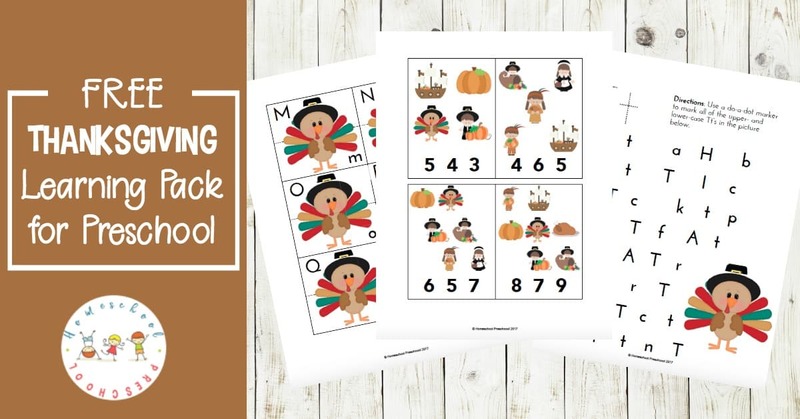 This pack of Thanksgiving printable activities was designed with your preschoolers in mind. 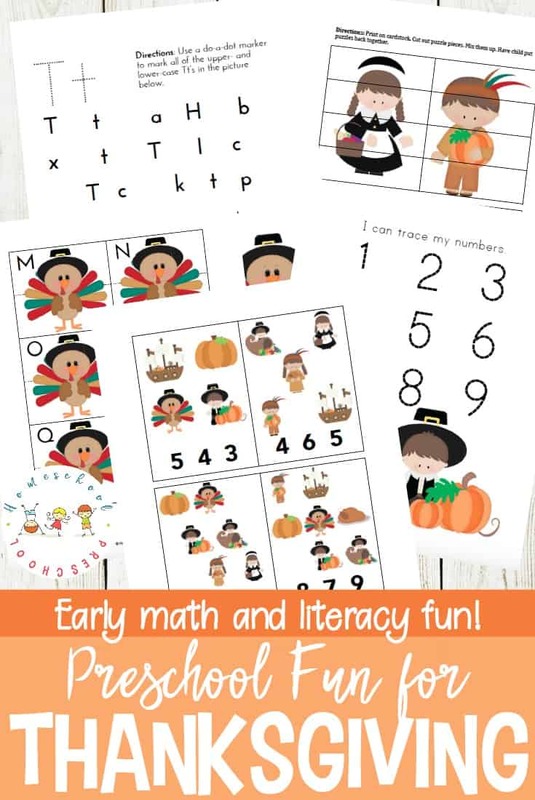 Little ones will focus on early math and literacy skills with these fun activities. I can’t believe that Thanksgiving is next week! 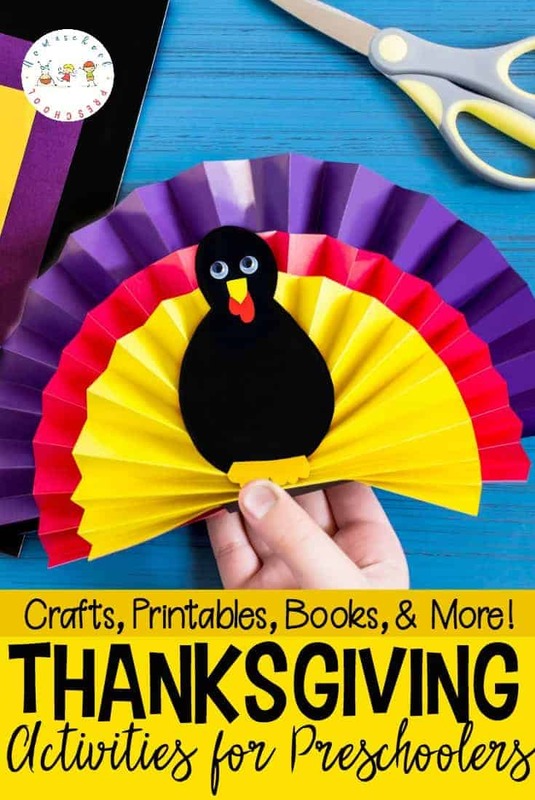 If your little ones are looking for something fun to do while you’re working with their siblings, print out some of these fun Thanksgiving-themed learning activities. You can pick and choose activities based on their interests and needs, or you can choose to have them complete them all instead of your “regular” homeschool preschool lessons. • 4-part puzzles: These four puzzles help little ones build their visual discrimination skills. Cut the four puzzles apart, mix up the pieces, and have your preschooler reassemble them. • Letter T Maze: Here’s another way for your little ones to work on their visual discrimination skills as well as letter identification. Students will circle or color each letter “T” to make a path from the pilgrim girl to the turkey. • T is for Turkey: Have preschoolers color the letter T and the turkey. Then, they can trace the word with their finger. • ABC Matching Cards: Cut out the alphabet cards. Cut each card in half. Have students match the uppercase and lowercase letters. • Color and Write: Students will color the turkey and write the word. Two font selections are provided. • Dot Marker Page: This activity page helps little ones fine tune their motor skills as they use dot markers or circle stickers to fill in each circle. • Letter Hunt: Students use a dot marker, crayon, or pencil to identify each letter T and t on the page. • Number Tracing: Students will trace the numbers 1-10. Two font selections are provided. • Trace the Lines: Kids will trace various lines and squiggles on this page. • Writing Prompt: This page contains space for students to write a sentence about turkeys. Young writers can dictate their sentence to a helper. • Count and Clip Cards: Students will count the objects on each card, and clip the correct number with a clothespin or paperclip. 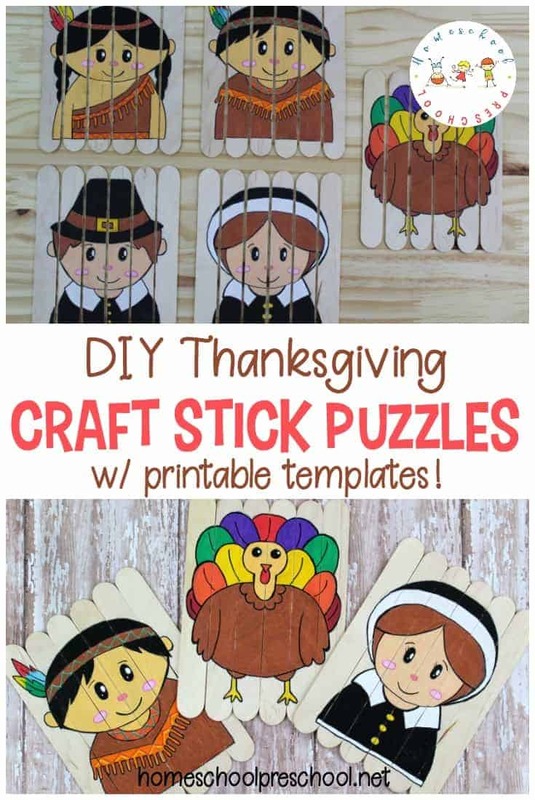 This set of Thanksgiving printable activities is only available to my readers. Click the button below, enter your information, and then follow the directions to download your file. 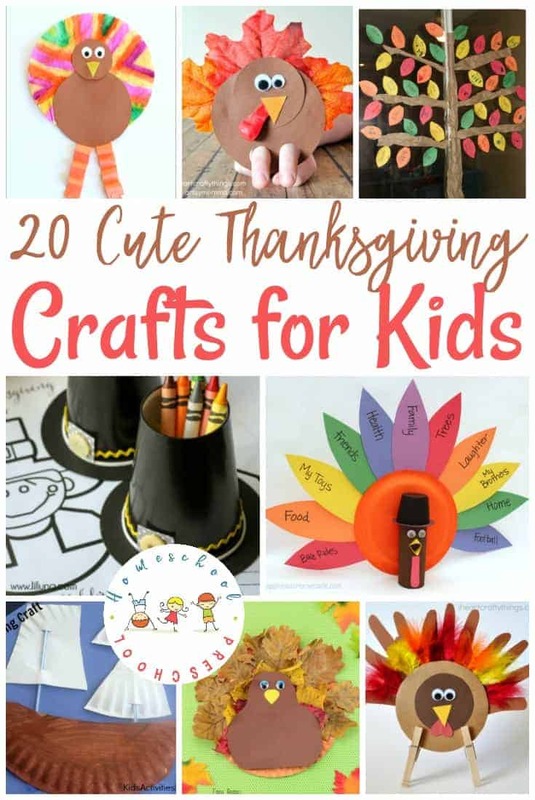 • Thanksgiving Turkey Gratitude Craft for Kids from Crystal and Co.
Tara, you make me want to go back in time. I did so much of these things with my kids during the preschool years and beyond. Great ideas! So glad you shared on Fresh Market Friday! I have included you as a feature this week…so many good ideas.